Viking House is an experienced Passive House Construction Company using Passive House details to build cost effective Energy+ houses. Passive Houses are highly insulated, airtight, cold bridge free structures with triple glazing and HRV that require minimal heating. 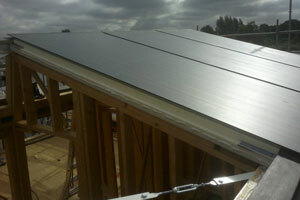 Tri-Solar Roofs transform Passive Houses into Energy+ Houses generating sufficient excess energy to power an electric car. Micro AE Digester-Fuel Cells eliminate sewage connections and transform Energy+ Houses into Passive "Power" Houses. 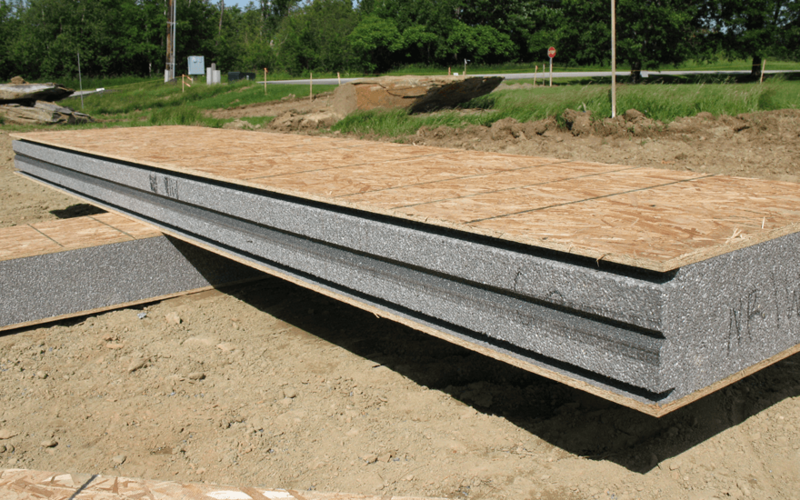 The Passive Slab is quicker, simpler and no more expensive than traditional strip foundations, it totally eliminates cold bridging and delivers an excellent 0.105W/m2.K U-value. 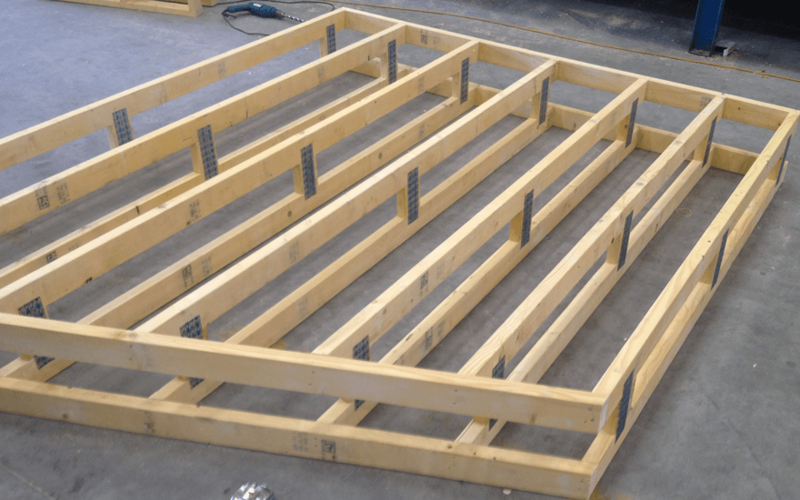 Twin Wall Timber Frame with U-values as low as 0.11W/m2.K is quicker, simpler and no dearer than regular 0.20W/m2.K U-value timber frame and totally eliminates cold bridging through the stud. FreshR's intelligent controls with CO2 and humidity monitors continually balance fan speed for optimum efficiency, compensating for wind speed and air quality, this improves the heat exchange efficiency by a further 10%. 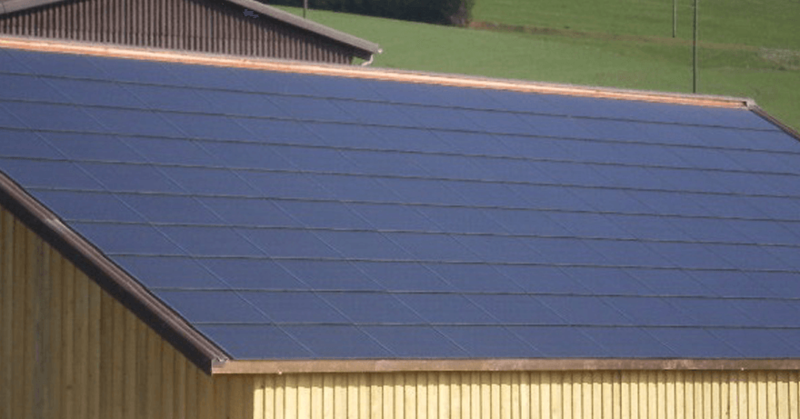 A Solar Roof is sufficient to fully heat a Passive House, 5-6 days heat can be stored in the concrete slab, it can be cost effectively installed and delivers the lowest annual running costs of all heating methods. 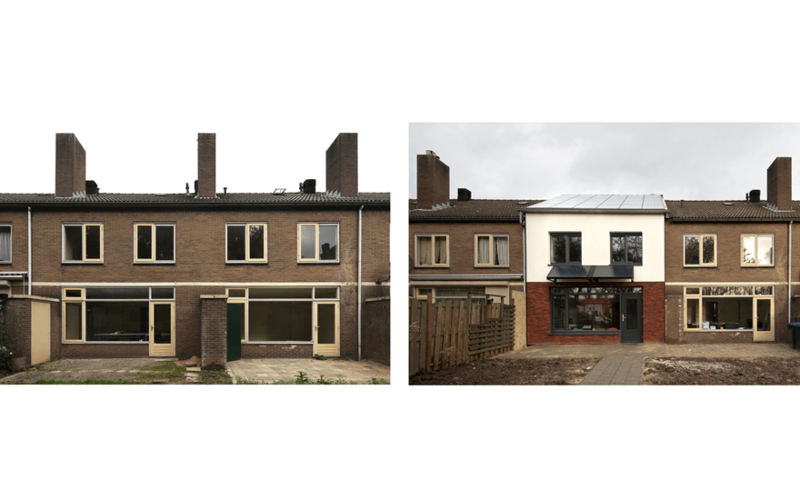 We constantly improve our technology by developing well engineered, reasonably priced concepts to solve the problems we've encountered constructing Energy + Passive Houses. 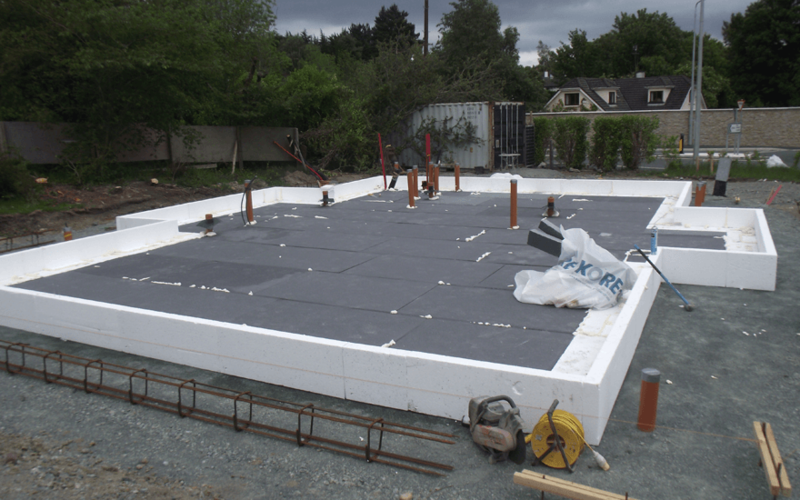 In 2008 we developed the Passive Slab, a quicker, cheaper and more efficient alternative to strip foundations. 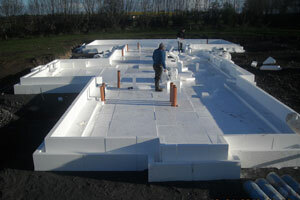 We complete Passive Slabs in 3-4 days and built more than 500 to date so its been a great success. In 2010, we developed the Twin-Stud wall and roof system to produce Cold Bridge free structures without increasing costs or factory production time. 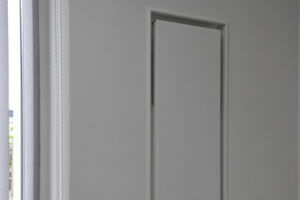 It integrates perfectly with the Passive Slab, eliminates the threshold cold bridge and enables us to deliver Passive structures for the same price as a standard wall. In 2012, we developed the FreshR HRV system to eliminate filters and ducts, switching on when somebody enters the house, self balancing and with a 7 year payback. It solves the problems associated with Ducted Heat Recovery Ventilation, like having to leave it always on, after 2 years 50% of units are unbalanced, only 10% of people in the Uk changed filters and the long 45 year payback period. 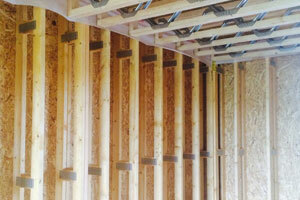 Timber Frame from Viking House on Vimeo. 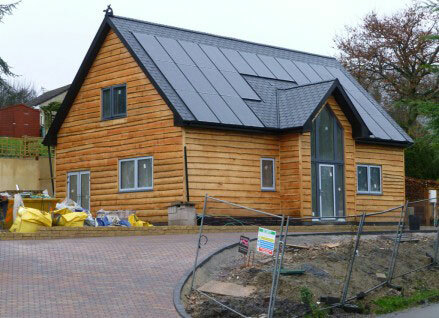 In 2013, we developed the Tri-Solar Roof to generate all the energy required by a Passive House and an Electric Car and remove the kit from the plant room. 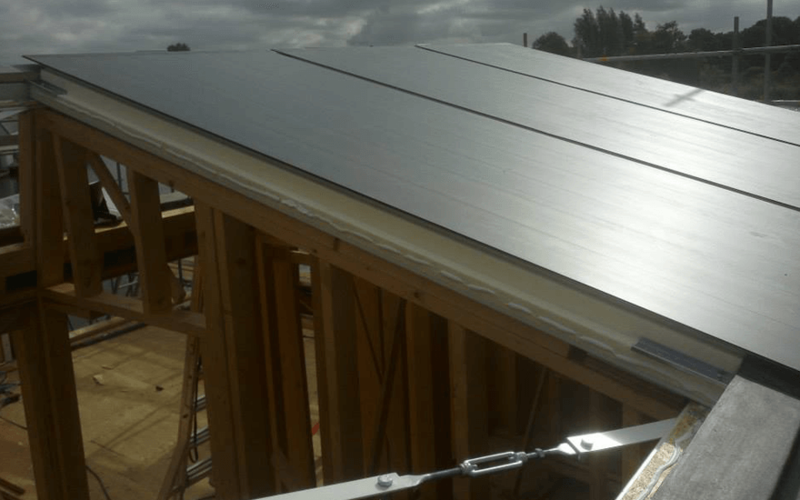 The Tri-Solar Roof combines Solar Thermal/Solar PV and a roofing system into one panel and can be installed for the same price as a traditional Gas Boiler/Solar Thermal hot water and heating system but eliminates the bills. In 2015, Micro Thermophylic AE Digester-Fuel Cells will eliminate sewage connections and transform Energy+ Houses into "Passive Power" Houses. 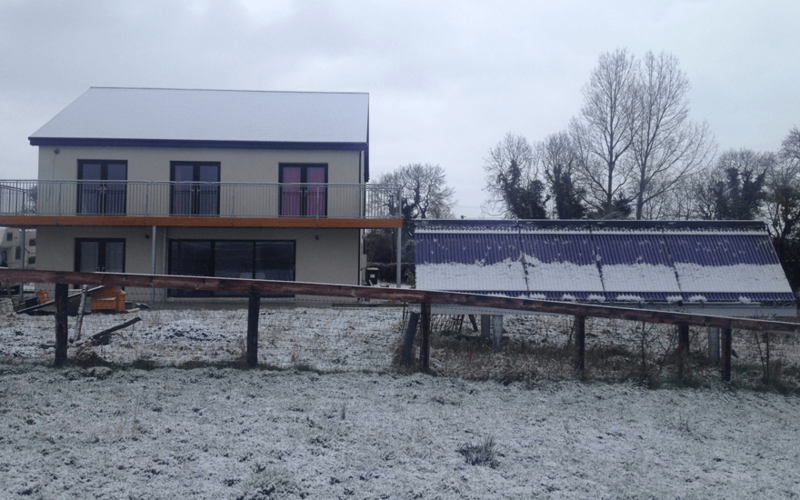 This 160m2 Energy Plus, Solar Enhanced, Passive House in Wiltshire with 6.5kWp of PV was built in 2013/14 for £175k. The 107 SAP rating (100 is Zero Energy) confirms it generates sufficient excess energy to power the clients electric car. When the energy generated by PV is included, the PHPP (energy usage calculator) shows an incredible negative annual energy usage of -50kWh/m2.annum. This compares favourably with the total energy (55kWh/m2.annum) a regular Passive House uses for heating (15kWh), lighting (20kWh) and hot water (20kWh). 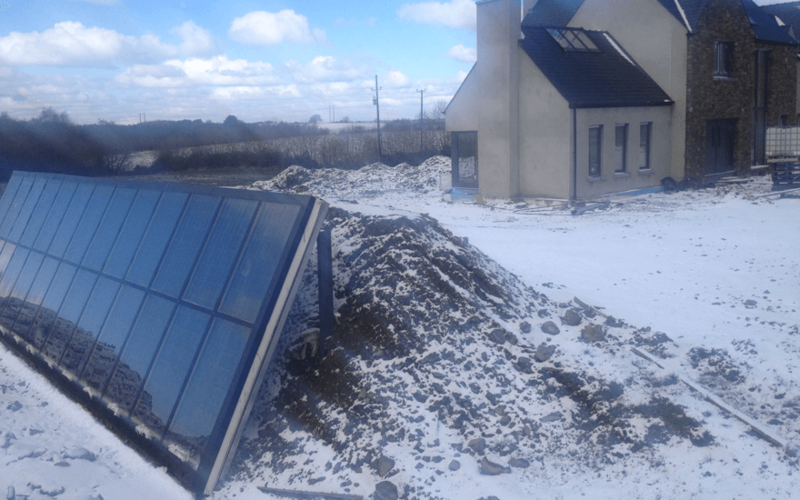 A capillary pipe ground loop connected to the Under-Floor heating manifold cools the house efficiently in summer using 10 Degree@ 1m deep ground water. 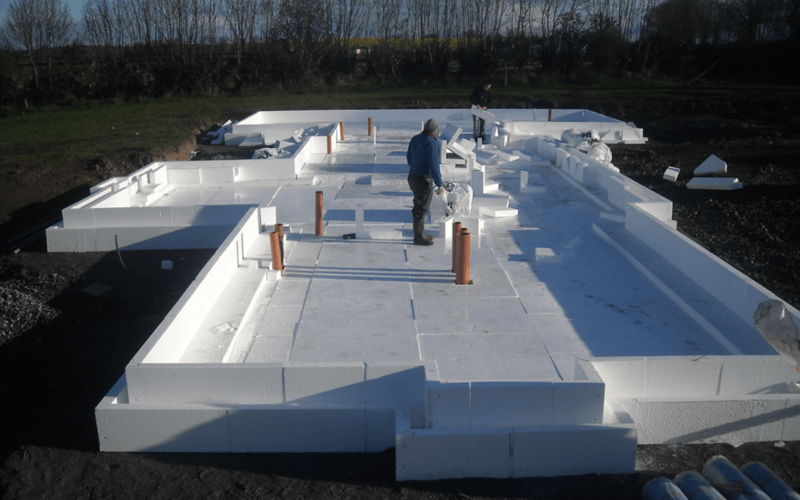 The house was built using the Passive Slab Foundation system and Twin-Wall Timber Frame Construction method with wall, floor and roof U-values of 0.10W/m2.K and Air tightness levels of 0.45ACH@50Pa.